A first trip to the cinema is a memorable experience for most – the enormity of the screen and the slight rumble of your seat during that pivotal, explosive moment; the sweet smell of popcorn and the delight at being allowed to stay out late on a school night; the absolute belief that dinosaurs are roaming the earth and that aliens live among us. With age, the belief might fade, but cinema magic definitely does not. How do they make a Prague street look like the centre of London? How does a car flip onto its roof and skid down a crowded street without anyone getting hurt? What do they use to create that huge explosion? But most importantly, how can I be a part of that? The UK film industry employs 66,000 people and is worth a huge 1.4bn annually. By 2020 there are a further 10,000 jobs predicted to be available, but how do I get a job on a film set? How can I be one of those 10,000? The opportunity to see my name in the credits of the next blockbuster shouldn’t feel like an unobtainable dream, but being a female from a working-class, northern family certainly made it feel like it was. It’s all about who you know. It’s being in the right place, at the right time. It’s luck. With no clear pathway into the film industry, getting a foot in that door was a complete mystery to me. I don’t know anyone. I don’t live anywhere near a film studio. I can’t afford to hop down to the capital and work for little or no pay. But every time I enter a cinema there is still a desire to be part of the magic, to be part of creating something bigger – and I am sure I’m not alone. Now a career in the film industry is being made more accessible thanks to the BFI Film Academy and their amazing hands-on courses running up and down the country. Their mission is to ensure that all young people between the ages of 16 and 19, are equipped with the skills they need to place them among the next generation of UK film talent. On a BFI Film Academy course, students get hands-on opportunities to develop specialist skills and learn directly from the professionals working in the industry. Sounds amazing right? But, my cynical mind immediately jumps the conclusion that anything so good must cost a fortune. Some of these courses are residentials – a two-week long course would mean I’d need a place to sleep, food to eat… there is no way I could afford that. Right? Turns out I’m wrong. The BFI Film Academy is supported by the Department for Education, the National Lottery, Creative Scotland and Northern Ireland Screen, which means funding is available for anyone that might not be able to pull the funds from their magical money tree. It means that any young person, from any background can apply and not worry about the costs. It means that this might be accessible after all. The BFI Film Academy has created 5000 places since 2012 and applications are open again now. With funding available to help with costs and courses taking place all over the country, I would encourage any young person looking for a way into the film industry to apply. 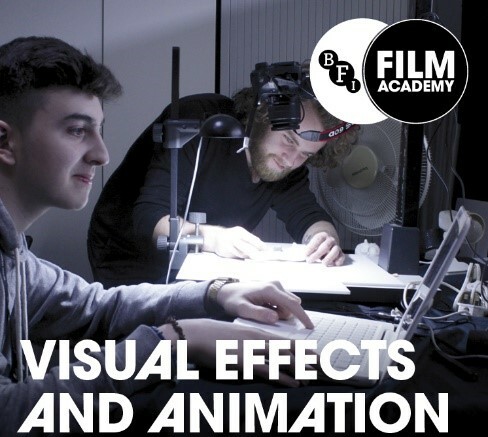 All courses offer the opportunity to learn skills directly from the professionals and graduates from the BFI Film Academy are supported through an alumni programme which includes access to BAFTA career surgeries and links to Future Skills Traineeships (through Lucasfilm), long after the courses are completed. Raabia Hussain, BFI Film Academy participant, Cornerhouse (Manchester), 2013. So that career in the film industry might be more obtainable than I thought, and it could be for any 16-19-year-old that might want to give it a go. 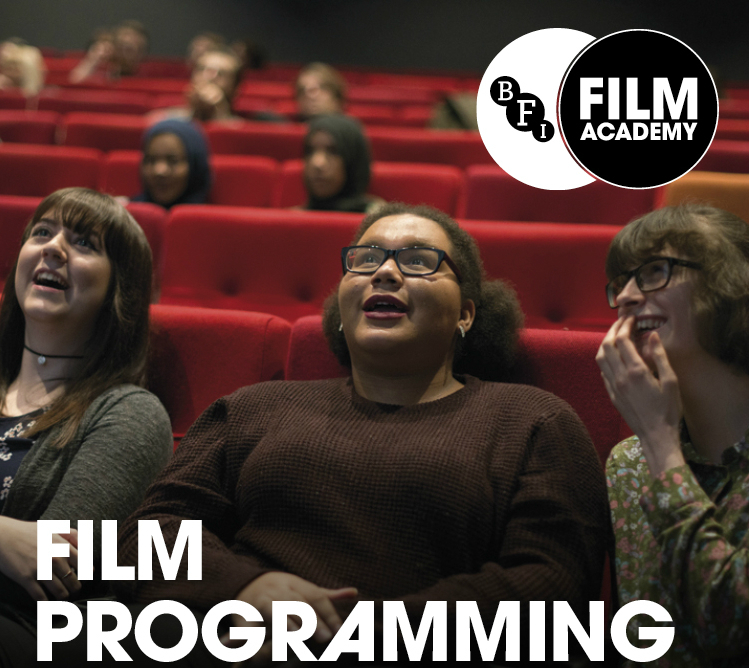 We have created a handy teacher guide with all the information you might need to know about the BFI Film Academy courses. It includes a Powerpoint, student guide and a parent letter, so opening this amazing opportunity to the next generation of film talent is easy. Register for your guide here https://nationalschoolspartnership.com/initiatives/bfifilmacademy/ and encourage your students to take their first step towards a career they thought was so unobtainable.